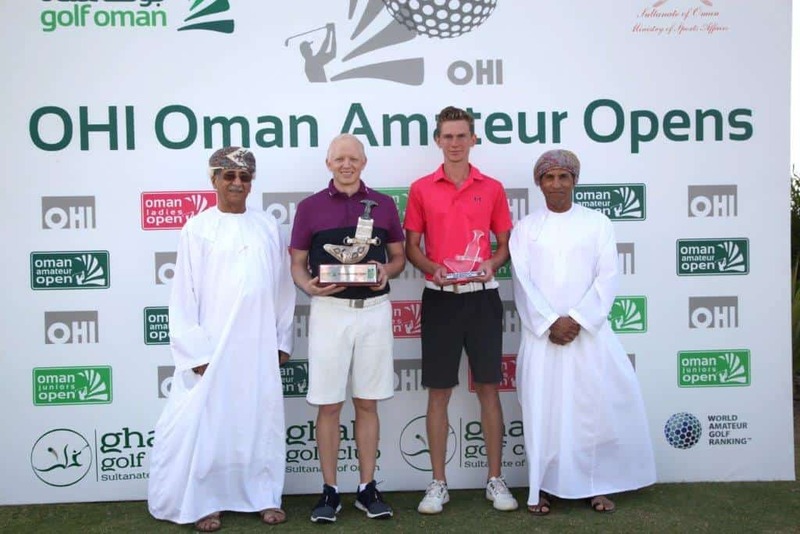 IT was highly appropriate that Othman Almulla should be present at Emirates Golf Club last month on the 30th anniversary of the Omega Dubai Desert Classic. Becoming the first Saudi Arabian golfer to turn professional, shortly before the second leg of the Desert Swing and just four days ahead of the Saudi International powered by SBIA, the first-ever European Tour event in the Kingdom of Saudi Arabia, was a momentous occasion. Worldwide Golf Editor-in-Chief, Mike Gallemore, talked to Othman, who qualified as the first Saudi golfer and the youngest Arab amateur to play in the Dubai Desert Classic back in 2007. IT HAD been my long-term dream to turn professional since I was 21 years old when I played in the Omega Dubai Desert Classic. I had a little taste of professional life that week and it’s been one of those things that has always been on my radar – working towards my goal of becoming the first Saudi golf professional. Last year’s Grand Opening event of the Royal Greens Golf and Country Club was surreal. To have such a great championship golf course and such a magnificent facility in Saudi Arabia is an outstanding treat. To think we are welcoming a European Tour event to the Kingdom is out of this world. Playing with Ernie Els and Andrew Johnston at the Grand Opening was a dream come true, if I’m honest. Now I’m spening a week rubbing shoulders with some of the biggest names in golf at the Saudi International and, hopefully, that will spur me on to achieve more of my goals. Othman Almulla in action during the Grand Opening eventof the Royal Greens Golf & Country Club last April. I’m 32 now and I’ve had a very good amateur career. I’ve put in a lot of hard work and had a few bumps along the road. It’s taken some time and I’m kind of lucky that events didn’t always go my way back then. Everything happened so quickly when I was younger. I was improving at a rapid rate, which gave me a lot of opportunities, but I don’t think I was ready to turn pro at that time. I appreciate that golf is a game where the tougher the opposition you face, the better you’re going to become. The field for the Saudi International is one of the strongest on the European Tour this year. To learn from the calibre of those stars and spend some time with them is going to be very beneficial for me. I know I’m going to learn a lot which will, hopefully, do me the world of good for the rest of my professional career. We’re very ambitious people in Saudi Arabia. We have big plans and we aim to achieve them. I believe this tournament will be the start of something massive for our country. 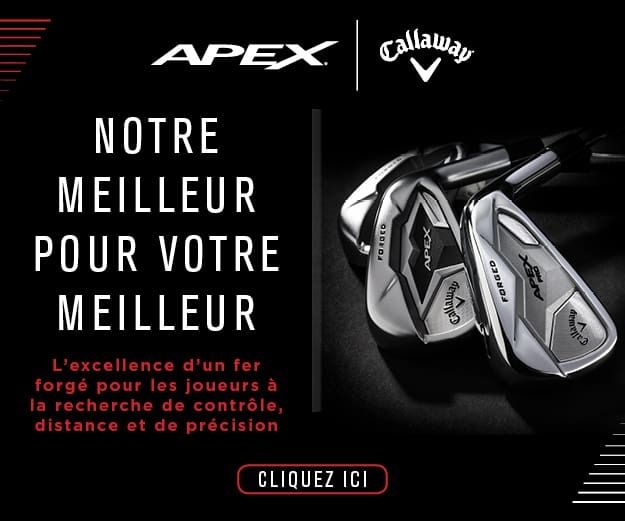 Golf is going to go from strength to strength. A lot of people think this tournament will be culmination of all the hard work that has been put in so far, but I believe this is only the beginning of an exciting new chapter for Saudi. Golf fans from around the world are going to get a taste of Saudi Arabia and what our culture is really like. I’m really proud to be a part of that. The 2030 vision has truly opened a lot of doors for us in the Kingdom. Saudi has a lot to offer and the media who came over for the Grand Opening last April said that they’d had a very positive experience of the country – and we want to share that with everyone. We are happy that during this tournament week the eyes of the world will be on Saudi Arabia and I’m 100% positive that everything to come out of the week will be very beneficial going forward. The country has ambitious plans for the future. Golf is one of those games that can truly shape a person’s life and good health because of the experiences and the people you meet through golf. It’s also a sport that teaches fair play and good manners. All that, has finally been taken into account and the powers that be have decided that golf could be something we could grow our youth into and encourage lifestyle changes. We are going to go from a country that had a total of six golf clubs to one that very soon will have 19 to 20 – with many more in the pipeline and all these courses will have A-Z facilities to cater for all family members. Othman Almulla pictured on the steps to the practice putting green at Emirates Golf Club with Worldwide Golf’s Mike Gallemore during the 2019 Omega Dubai Desert Classic. Establishing the Royal Greens Golf & Country Club and the King Abdullah Economic City is truly a giant step into modern golf living. Once people see the iconic clubhouse and the wide variety of facilities they will be very impressed by how well thought-out it really is. You can go there to do whatever you and the family want to do. The new wave of developments will enable us to host world-class events with all the facilities required to handle sporting events. With Royal Greens now in place we have one of the best golf courses in the Middle East and I truly believe the rest of the courses being built will be of that standard – the sky’s the limit! We are happy to host a European Tour event for the next few years, which will make Saudi one of the ‘go-to’ destinations in the region. Dubai, for the last 30 years, has been one of the highlights and centres of attention for the Tour. All the players love going to Dubai and all the fans love to watch the tournaments because of the views and the spectacular golf. 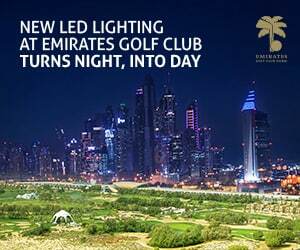 The success of golf in Dubai is all about the vision and making it happen. I know Worldwide Golf magazine was at the forefront of the boom in the golf industry in the region and I believe that Saudi Arabia is on the cusp of something similar, if not better. It takes visionaries and people who believe what can be achieved through the world of golf by growing the sport and being ambitious enough to chase those visions to become reality. As I said before, this is just the beginning. I am so excited about the International and the future growth of golf in Saudi – and for my professional career. I’m privileged to be making this journey with Saudi golf. There are a lot of influential people who have been committed to growing the game since the 1970s, when there were only sand golf courses. 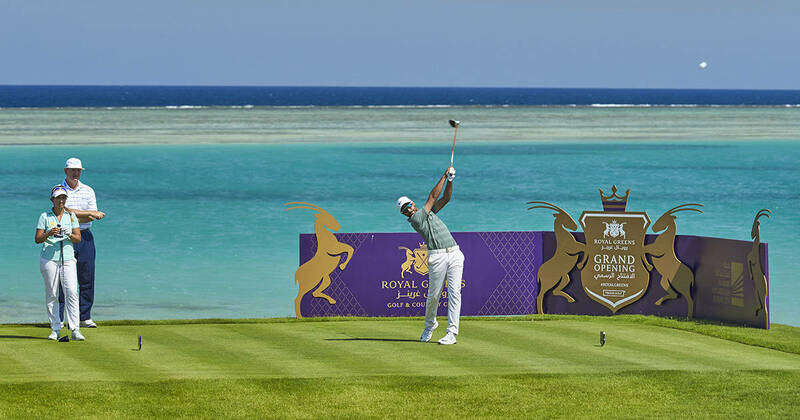 His Royal Highness the Crown Prince Mohammed Bin Salman and and His Excellency Yasir Al Rumayyan, Chairman of the Saudi Golf Federation, have done so much to promote the growth of golf and their efforts are now coming to fruition. In Saudi we have gone from a Saudi Golf Committee to a Saudi Golf Federation, one of the biggest federations in the golf industry. It has been a momentous journey that has had its ups and downs, which makes you appreciate the journey that much more. I appreciate the good and the bad because that is what it is all about. It is about what are you doing to achieve your dreams, what you are you going through, what do you believe in, and what you do to get there? Their mission is to make the Kingdom a more healthy population, particular the younger generation. To touch on the sporting events, the General Sports Authority has taken massive leaps, and we will soon be hosting some of the world’s biggest events in Saudi. The UAE has been the hub for golf and for people to come to train and practice in the winter months when It’s cold elsewhere in the world. I believe Saudi Arabia will become the next global golf destination, and our facilities will surpass any other offering in the region. My goal is to represent myself as best I can and my dream is to enjoy the journey. If at the end of the day I see the youth of Saudi taking up the game and believing that they can make it to the professional ranks and that there is an avenue for them to pursue their sporting accomplishments, I’ll be happy. If they achieve what they want, then that will mean the world to me. I appreciate what my personal journey has done for me and how much representing the Kingdom of Saudi Arabia as a golfer has done for me as a person. It has certainly helped me grow to be a better person. I have been very lucky and blessed to have parents who support me. They have given me every opportunity to succeed in sport, whereas not many parents are able to do that, because sport is seen by some as an avenue away from education, work and a sustainable way of living. I don’t think it has to be that way. My model was not the typical path of going to college and getting a job. I have gone my own way and I am living life happily. I am comfortable with my life and that is because of the support of my parents and the government through the General Sports Authority and the Saudi Golf Federation. They provided me with a platform to be able to represent my country and to give back just a tiny bit in consideration of what the country has provided me and my family. I am very lucky, and I thank Allah (Alhamdulilah) every day because not many people get to do that.